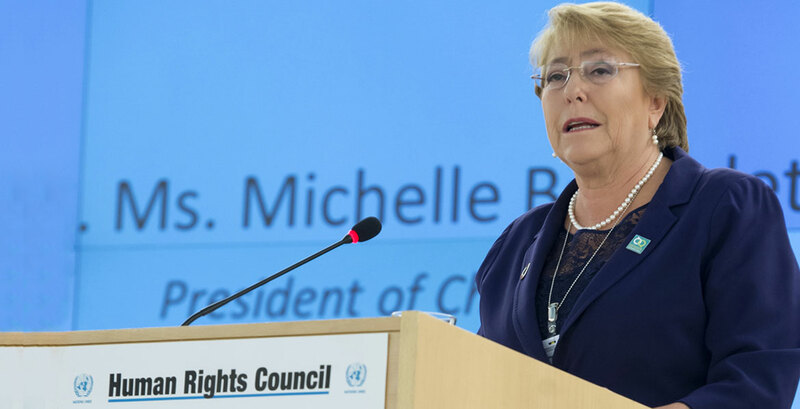 The United Nations General Assembly has officially approved Michelle Bachelet as new High Commissioner for Human Rights. Michelle Bachelet will start her mandate on 1 September 2018, she was President of Chile twice (2006 - 2010, 2014 - 2018), the first woman in her country to occupy this position. From 2010 to 2013 she was the first Executive Director to lead UN-Women, the UN organization dedicated to gender equality and the empowerment of women. Previously, Bachelet was Minister of Defense and Minister of Health in Chile. In accordance with General Assembly resolution A/RES/48/141, the United Nations High Commissioner for Human Rights is appointed by the Secretary-General of the United Nations and approved by the General Assembly, for a fixed term of four years with a possibility of one renewal for another fixed term of four years. The High Commissioner for Human Rights is the principle official who speaks out for human rights across the whole UN system and who has the role of strengthening human rights mechanisms; enhancing equality; fighting discrimination in all its forms; strengthening accountability and the rule of law; widening the democratic space and protecting the most vulnerable from all forms of human rights abuse. The current Commissioner, Zeid Ra'ad al-Hussein, will be in charge until 31 August 2018, after a four-year mandate that started in 2014.